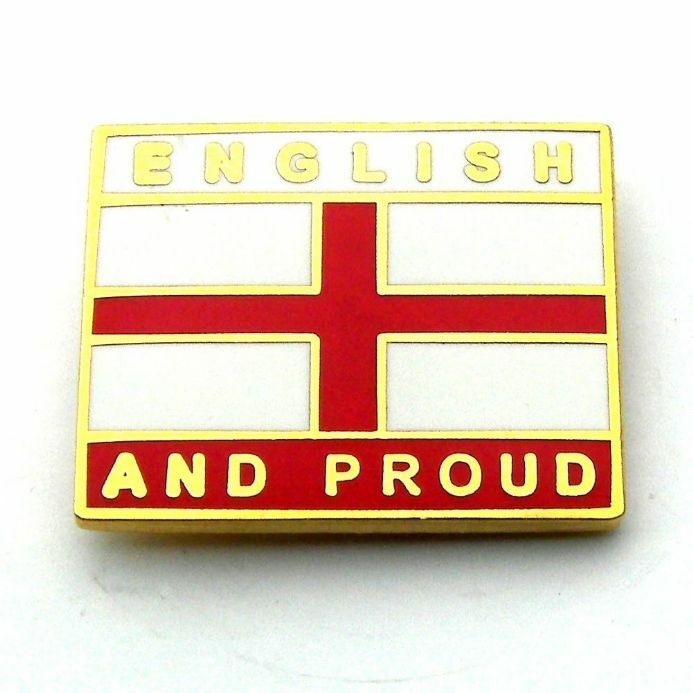 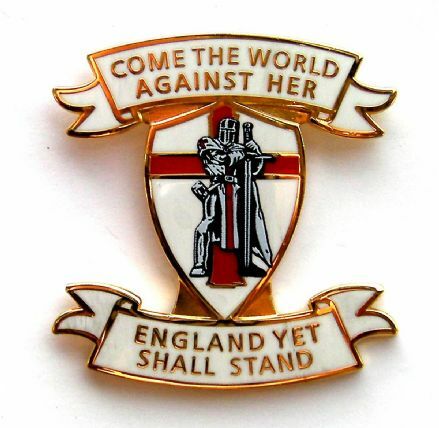 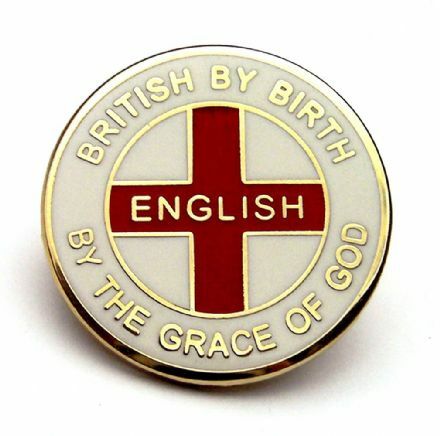 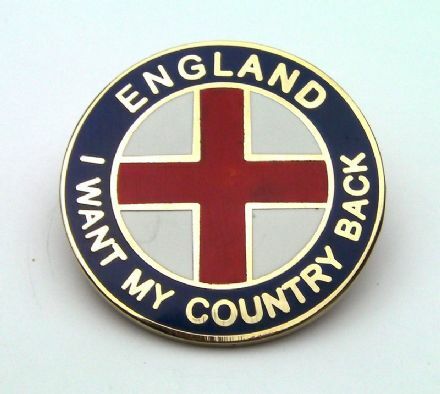 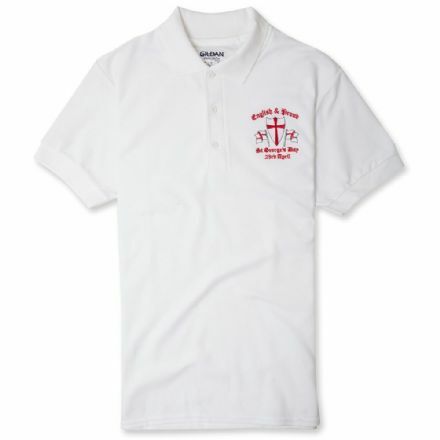 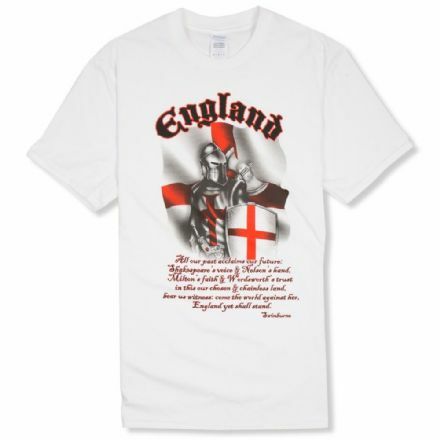 England badge featuring Cross of St George and wording - "English and Proud". 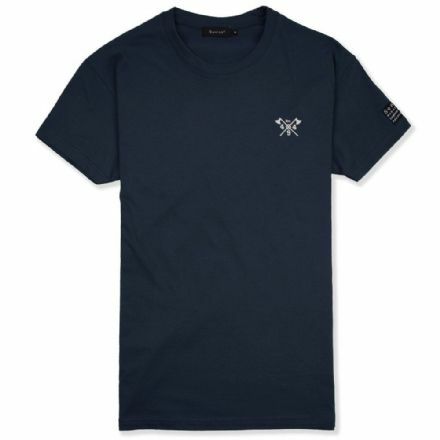 Blue version also available. 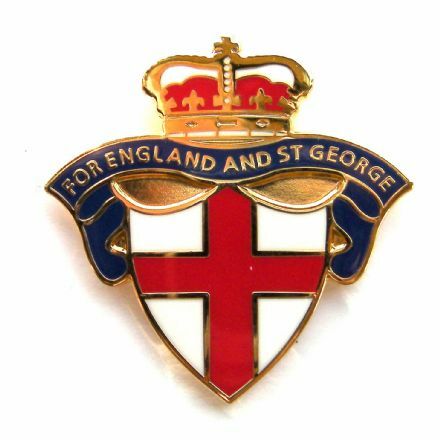 Butterfly clutch fastening on back back of badge.